Following the success of Hustle Kings for PlayStation 3, VooFoo Studios' Hustle Kings on PS Vita has arrived. Whether you live in pool halls or just whisk through them once in a blue moon, Hustle Kings is enticing thanks to a variety of options that look out for everybody. 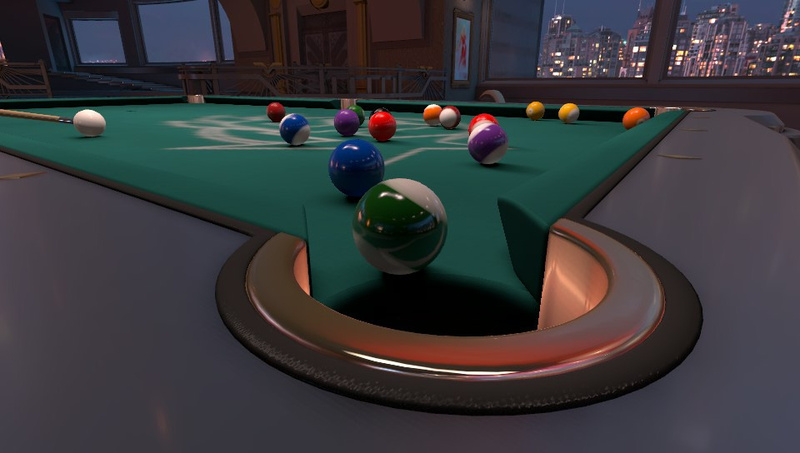 The game's pockets are stuffed with enough content to make it worthwhile for any would-be pool shark. 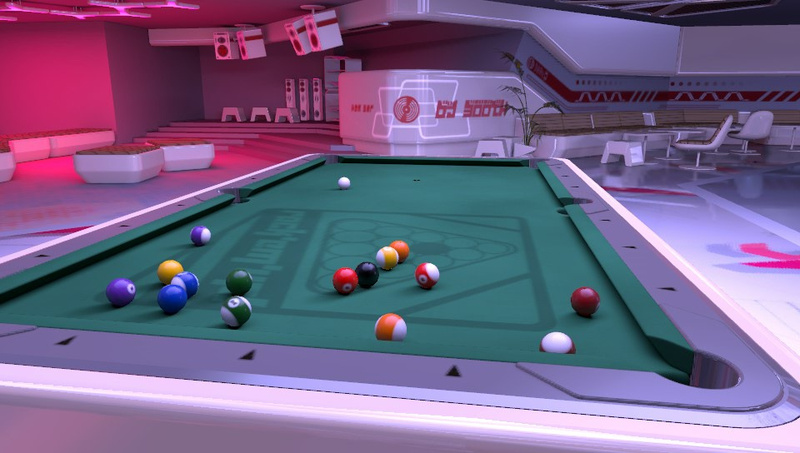 With a lengthy career mode spanning eight rival teams, bonus game modes, trick shot tests and a stack of online options, you're unlikely to get this much value for money on your local pool table. Though you can approach without prior pool proficiency, the game does try to instil some knowledge in you, and the quicker you pick it up, the better. 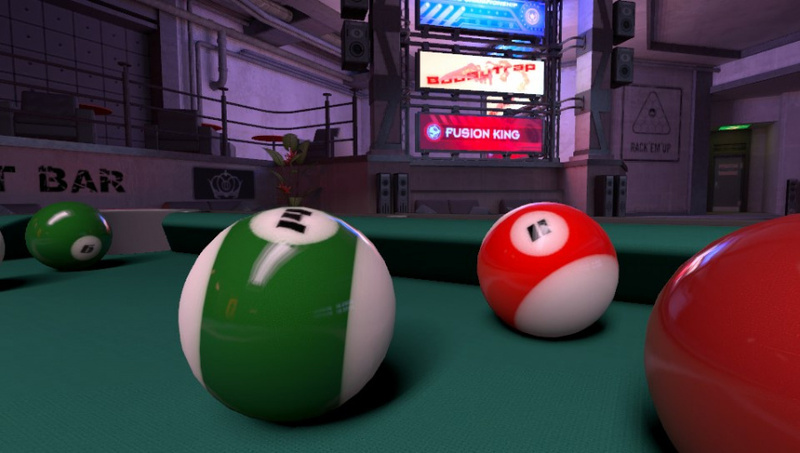 It encourages you to prod different areas of the ball to add spin, to hold your cue at varied angles to make jump shots. It's actually rather deep, and the comprehensive tutorial mode does a good job of explaining everything. There's an emphasis on score, money earned through skilful play, which can be spent on even more game modes and avatars, or gambled away online in competitive matches. Standard game types such as US 8-ball, 9-ball and black ball lurk among more unique match types like killer, cut-throat, 14.1 continuous and 3-ball. You can hop into unrestricted free play to practise shots, or there are bonus games with far more specific win conditions: beat the clock, clear the table in a certain number of shots, slip the balls into designated pockets, pots only count if they're the result of a bank shot and so on. 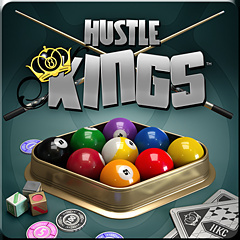 If you like your ball games, Hustle Kings puts more than enough options on the table. Online remains just as smooth as single player. Quick matches let you hop into six game types if you just want to get into something fast, while rooms can be set up for longer sessions. Lobbies can be casual, just for fun, or the stakes can be increased in ranked or hustle matches. Hustle is where you can bet away all that money you've built up throughout solo play, while ranked is about the status alone. Additionally there are more unique leaderboard-baiting score-based challenges, plus you can play slower games with friends by sending shots via messages – perfect when you've got a few minutes spare on a quiet day in work. Transitioning from Move to a touch screen was never going to up Hustle Kings' realism, but VooFoo has done a fine job nonetheless. Both analogue sticks and touch screen can be used to tune the cue's angle, the desired target on the ball and shot direction. The inputs make for a good combination; we found ourselves switching between them often, as the aiming is slightly too fiddly and sensitive when you're trying for an intricate shot in a dicey situation. Being able to flick between the two at will means that you can always experiment with each to find the right angles. The sensitivity does mean that time-critical games and nifty jump shots can be problematic, though. The actual shots are all down to the touch screen, and there's a spread of options to cater for any skill level. In casual style you simply drag down on the power meter and release when you've reached your preferred level of grunt; standard lets you set power manually before pulling the cue back and pushing forward; with pro, power and accuracy are all determined by the speed and straightness of your finger's movement up and down the bar. The latter is, as you'd expect, an acquired taste that requires practice, though games are all the more rewarding when you do conquer it. Aim guidance can be adjusted to either show the full path that your target and cue balls will sail down, mild hints of possible movement or absolutely nothing at all. Switching all assistance off and playing with pro-style shots is only for true masters. Hustle Kings looks and sounds about as royal as you'd expect a pool game to get. The several musical genres that are mixed and matched as you play – funk, hip hop, jazz and more – all fit in well with the Americanised feel of the game. You're unlikely to see shiny balls this good elsewhere on Vita at this stage, either; there's obviously not a huge deal to work with, but the lighting is decent and what you see of the surrounding arenas is of good enough quality not to detract from the action. Multiple camera angles, conveniently swapped between with R, mean that you're always able to get a decent look at the table. Though the low-set default option looks the prettiest, the top-down viewpoint is the easiest to use when setting up shots. 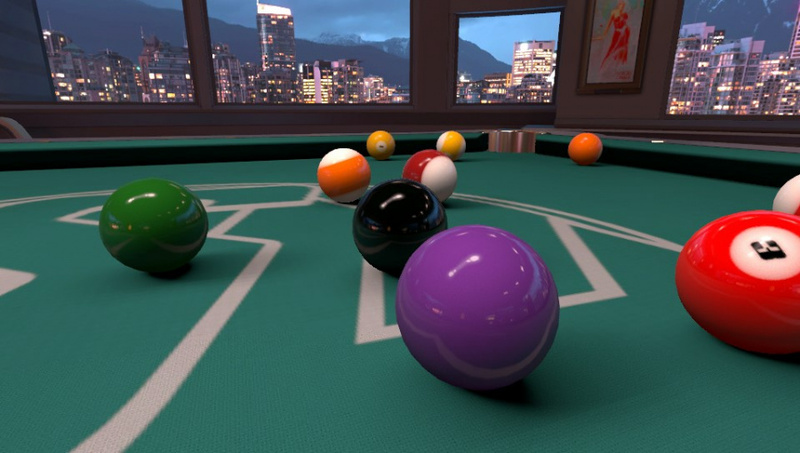 A third option uses Vita's gyroscopes to allow you to look around the cue ball freely. Hustle Kings is open to everybody, from experienced players to pool paupers – just as long as you're willing to listen to its suggestions and learn how to curve a ball. With a huge amount of game types, competent controls, online modes to fit whatever mood you're in and a copy of the PlayStation 3 version included in the price, Hustle Kings is great value for the princely sum of £6.49. Is there any way to choose the look of the balls? Because I see some pretty spiffy futuristic looking ones at the top and didn't see anything about 'em. @Azikira Yes, you can purchase different cues and balls to use with Hustle King credits. You can also pick them up via Near (and in-game avatars, too). I hope that helps.